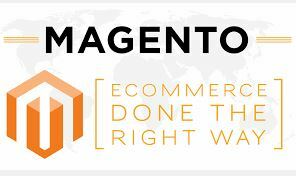 Whether you’re importing to your website or Amazon, mass importing can save time. Either have a solution crafted for you or I can handle the complete process. Have complete control of what items are listed. Do you have processes/reports done daily, weekly that take up valuable time? An automation may be just the solution. Get a consult to find the solution. Save yourself valuable time and resources to be placed elsewhere than that repetitive, time consuming task. An online store with incorrect inventory, might as well be selling dinosaurs or magical unicorns. If your inventory is off, then your customers are buying items that don’t exist which wastes valuable time marketing, publishing content that isn’t there. The most expensive take away is negative customer experience. Customers responses to out of stocks range from mild dissatisfaction to questioning the integrity of your store. Out of stocks cause loss of repeat business and the best sales cycle includes repeat sales. I can help you get your inventory in check. Let me help you take your shop to the next level! Need help with your email marketing campaign, getting pesky sales performance reports from your site, or help with mass product importing? Contact me today.